The Clintons are a powerful, elite machine. 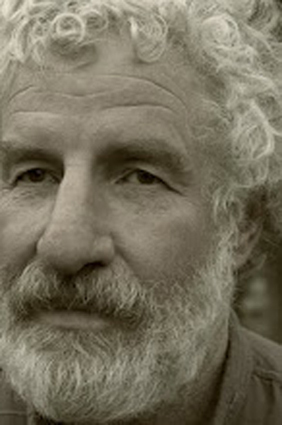 And Bernie Sanders amazing movement has already won huge victories on trade – the TPP is dead till after the election and hopefully, dead in its recent form, forever, and Barack Obama has remembered himself – hard being a President, a drone firer/killer, to remember himself – and called for the expansion of social security. Clinton has already been condemned for lying and refusing to meet in the State Department IG report – and the FBI report, even under Obama, waits in the wings. And she was very likely to lose in California, demonstrating yet again, that even with all the Democratic Party’s fingers on the scales (in New York, a hammer…), she is a very weak candidate. Clinton cannot secure the nomination until the super delegates vote. But the all Clinton and Trump all the time corporate media led by the AP has declared the nomination hers before the election in California and New Jersey and South and North Dakota…They do not want you to come out and vote today for Sanders. Every vote is part of a movement which challenges the allegiance to the .0001% of the corporate Democratic Party. NPR has a particularly corrupt story about how the AP called it, and Sanders voters at a big rally yesterday in San Francisco were thinking about this – even as Bernie continues campaigning. It is all from Clinton’s point of view – call the AP and NP Clinton’s “press flacks.” NPR noted that many will not vote for Hillary (are repulsed by the Clintons) in the fall. That is likely. The elite press has made the contest Trumo v. Hillary. Democratic presidential candidate Bernie Sanders speaks to supporters at his final rally ahead of the California primary at Crissy Field in San Francisco on Monday. 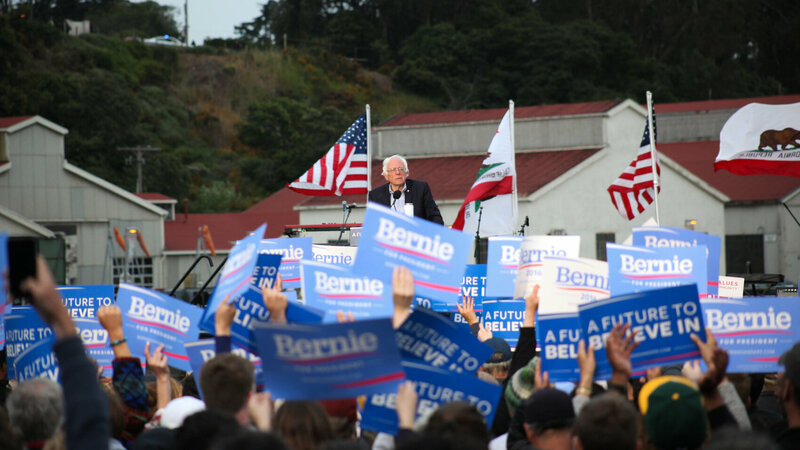 Bernie Sanders continued to campaign in delegate-rich California on Monday, ahead of that state’s Democratic presidential primary Tuesday, even after The Associated Press declared Hillary Clinton the presumptive Democratic nominee. And even though the candidate refused to acknowledge the news in a Monday night outdoor rally and concert with the Golden Gate Bridge as backdrop, the entire night, something was a little off. Walking up, you could hear people telling their friends, and themselves, that they knew Sanders was going to lose the nomination. About an hour and a half before Sanders took the podium at Crissy Field, the AP declared Hillary Clinton the presumptive nominee. But no one who took to the mic acknowledged this: none of the musical acts, including Dave Matthews. Not actor and Sanders surrogate Danny Glover. Not scholar and activist Cornel West. 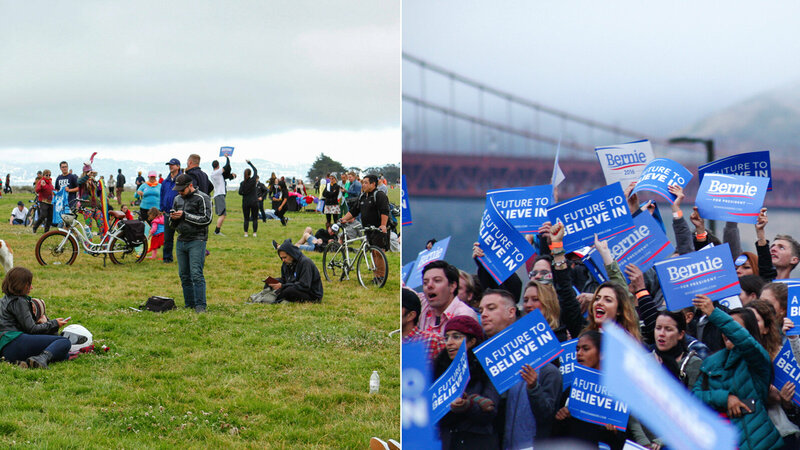 (Left) Sanders supporters and concertgoers listening to Dave Matthews and (right) standing behind the podium at Bernie Sanders’ rally Monday in San Francisco. And when former Ohio state Sen. Nina Turner went to the mic to stump for Sanders, she implied that the call from the AP was meant to hurt the Sanders campaign. In a press conference Monday morning, Sanders said he’d keep campaigning after the California primary, until the final Democratic primary in Washington D.C., next week. And when Sanders finally spoke at the San Francisco rally last night, he didn’t mention Hillary Clinton’s new delegate math once. His stump speech sounded a lot like the one he gave the day before, and the day before that. Meanwhile, Sanders communications director Michael Briggs issued a short statement reacting to the AP’s naming Clinton the presumptive nominee. “It is unfortunate that the media, in a rush to judgement, are ignoring the Democratic National Committee’s clear statement that it is wrong to count the votes of superdelegates before they actually vote at the convention this summer,” the statement read. In the crowd Monday night, Sanders supporters like Genei Baker were making sense of Sanders’ presumptive loss, even if the Sanders campaign was reluctant to do so. 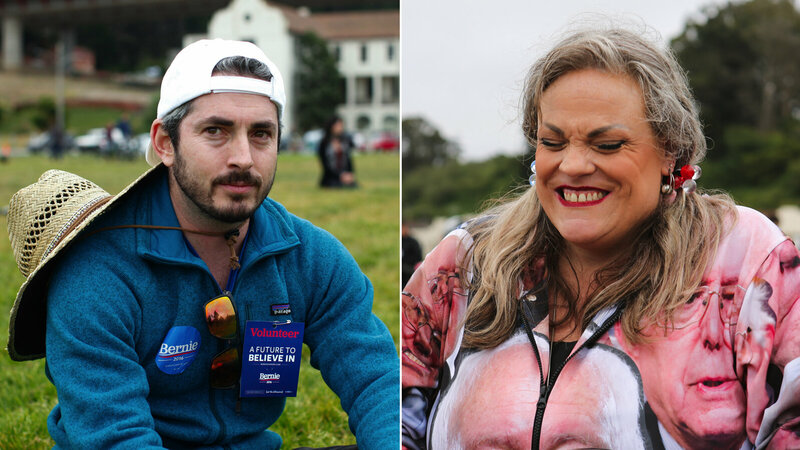 Sanders supporters Aaron Selverston (left) and Genei Baker both hoped to see Sanders’ campaign move forward despite Hillary Clinton becoming the presumptive nominee for the Democratic Party on Monday. But the process has left Sanders supporters like Aaron Selverston disillusioned. For him, sitting on the grass as Dave Matthews played, the Democratic Party rules and the delegate math were rigged against Sanders. “I think the whole argument about the math is irrelevant,” Selverston said. For Selverston, his allegiance is to Bernie Sanders, not the party or its rules. 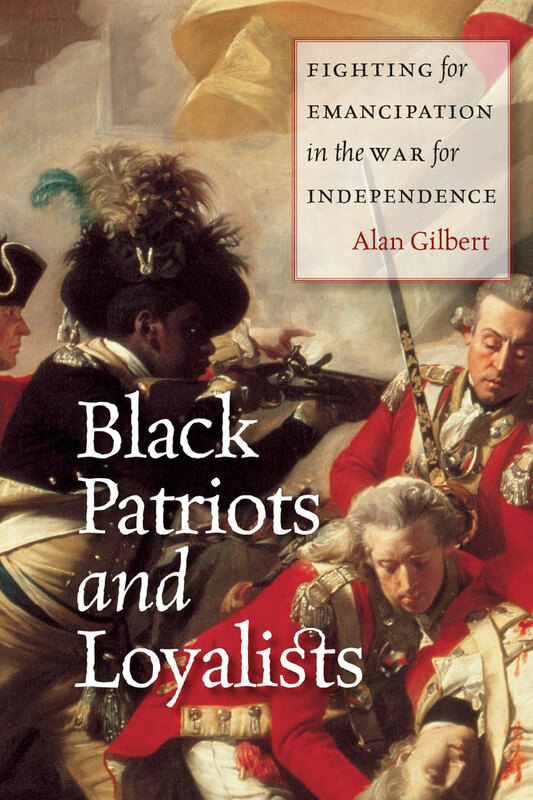 “It’s not about allegiance to a party,” he said. “The party has failed half of the people who have voted Democratic, and those are the people who are supporting Bernie.” Selverston says he hopes that Sanders supporters and delegates take their fight to the Democratic convention in July. Presumptive nominee Hillary Clinton may need votes like Selverston’s in November to defeat Donald Trump. But from the sound of things Monday night in San Francisco, earning those votes might be a heavy lift.